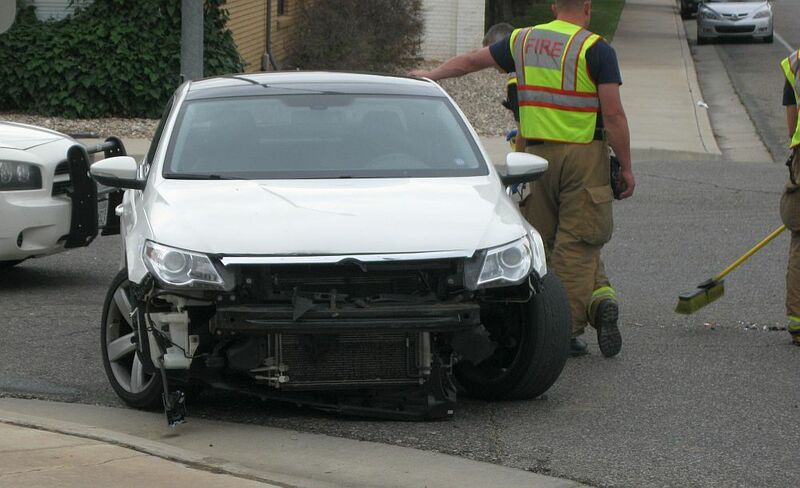 ST. GEORGE — An accident at Sunland Drive and 400 East in St. George Thursday afternoon served as a reinforcing reminder for one driver, who had been warned about seat belt usage just a few days prior. 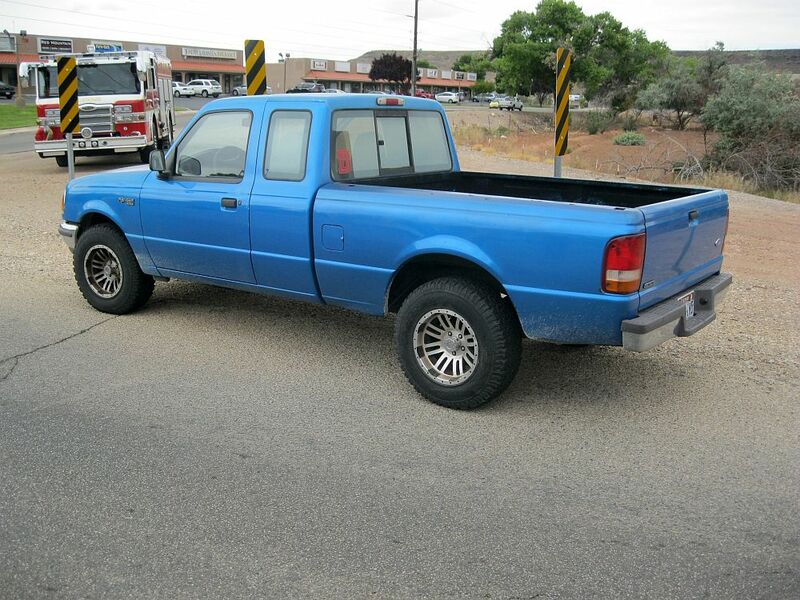 Shortly after noon, a blue Ford Ranger truck traveling north on 400 East was struck directly in the left rear tire by a Volkswagen sedan, St. George Police Officer Jamison Hale said. The Volkswagen driver had stopped at the stop sign heading east but did not notice the truck and crashed into it. The Volkswagen sustained major front end damage from the crash. Hale said the Volkswagen driver’s head hit the steering wheel. She complained of head and neck pain but refused ambulance transport to the hospital. The Volkswagen was towed from the scene. The Ford truck sustained no visible damage except for a few scratches on the left rear wheel. The driver was uninjured. The occupants of both vehicles were wearing seat belts, and the driver of the truck was left glad she had heeded her recent seat belt warning. “The one girl in the blue truck said she had just been pulled over for not wearing a seat belt the other day, because they passed a law May 12 saying now we can primary stop for adults,” Hale said. “We are giving warnings, but the next time you get stopped, you’re subject to citation,” he added. 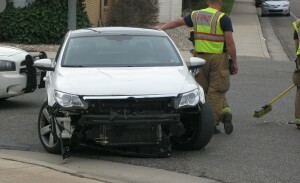 The Volkswagen driver was cited for failure to yield after the stop sign.